Blue is becoming quite popular. •This beautiful beer stein was handcrafted in Germany by Zoeller & Born. •This attractive stein has a pewter lid. •This 1/4 liter stein is about 8.25 inches tall. •This stein features an Octoberfest scene from Munich. •The text Oktoberfest Munchen is displayed on the banner below the image. •This part number consists of ONE stein. •Zoeller and Born is a family owned operation that has been producing high quality beer steins since 1956. They specialize in steins with stunning handpainted relief. 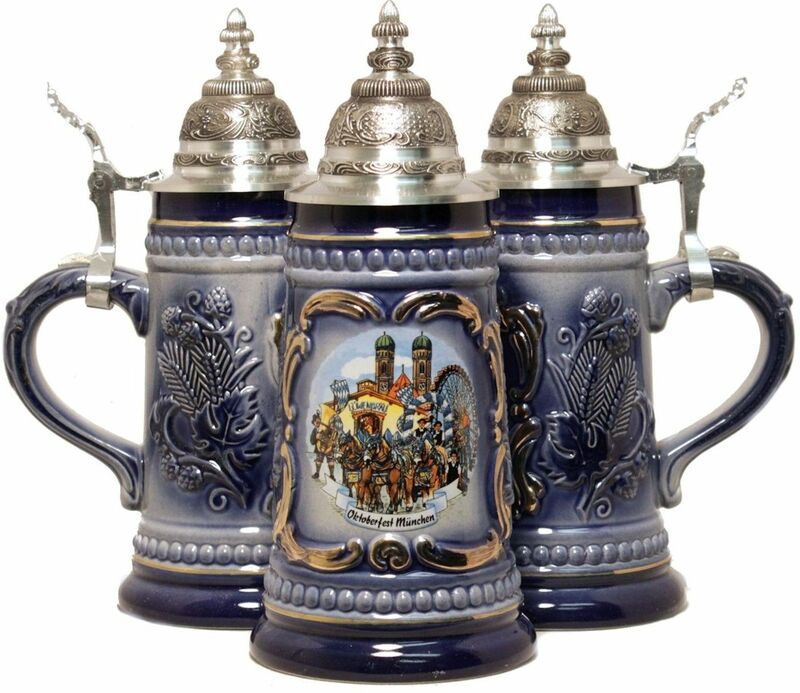 Zoeller and Born is one of only a few remaining German stein companies that still produce their steins in Germany with 100% German materials and German labor.